No, this isn’t a rude post. It’s a post about fake tan. The first of many I feel because for some reason all of the fake tan PR people contacted me at the END of the summer instead of the beginning. This will probably be the first of many fake tan posts. As I’m as white a sheet with seemingly no melanin whatsoever I’m devoted to the stuff. I’ve also written articles about the devastating effects of melanoma so I wouldn’t tan even if I could. I have a few favourite products at the moment so I’ll tell you about the first of them. It’s new fake tan glove from Gordons Chemists. They all end up like this. They all end up stained with the foam coming away from the lining and as they’re essentially mittens you can’t get a proper hold on them. You should always use a mitt or glove or some kind of hand protection when applying fake tan. At the very least you’ll have smoother, more even coverage and also they prevent tangerine hands. But I got one of these fantastic jobbies from Gordons and I can confidently say it will be the last one I ever use. 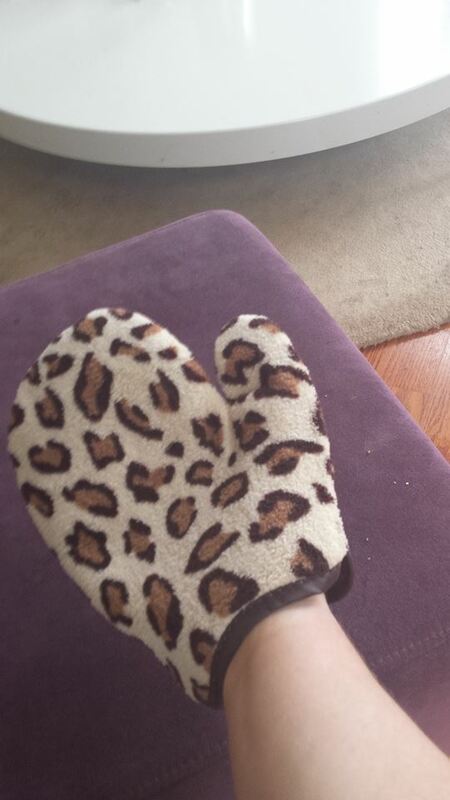 It might look a little like an oven glove but I can tell you, this is a wonder product. 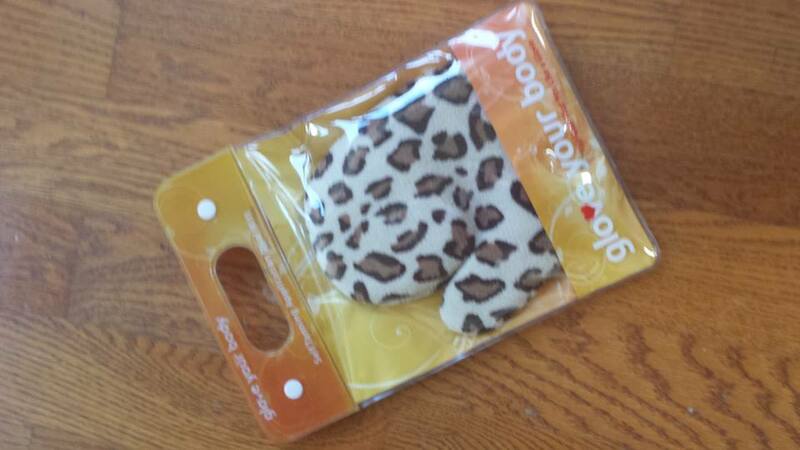 It’s machine washable and I love the funky leopard print design. A big plus for me is the finger loops inside the glove. These are reversible so left-handers and right handers will have the ultimate control. It even comes in its own travel bag so it won’t stain your clothes in transit. 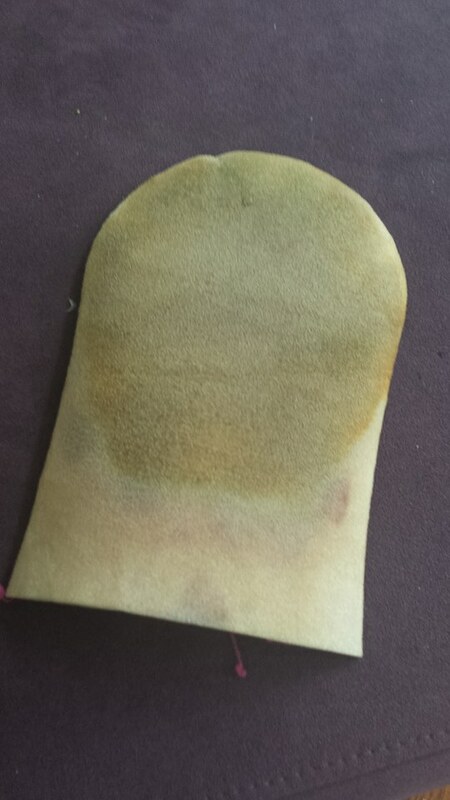 It’s not cheap at £14.99 but honestly, this thing is so well-made and so reusable you’ll never have to buy a fake tan mitt ever again.